campaign photoshoot took place in Neorio Shipyards of Syros Island in Greece the summer of 2014. 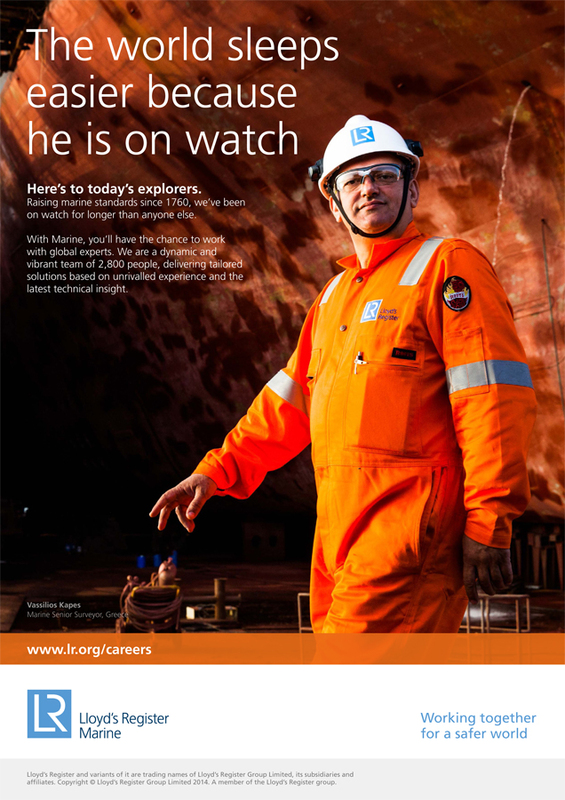 It was more than useful experience working under the difficult conditions of the Shipyards and for the specific needs of Lloyds Register UK campaign. Lloyds surveyors are those who protects the life of workers and the property as well through the security tests. Thats why the mood of the campaign was a heroic like dark portrait of a Lloyds Register surveyor set in his environment, a style very close in how I usually working in my portraits. We stayed at Syros for three days (Me and the assistants) with most of the time inside the drydock of Neorio. 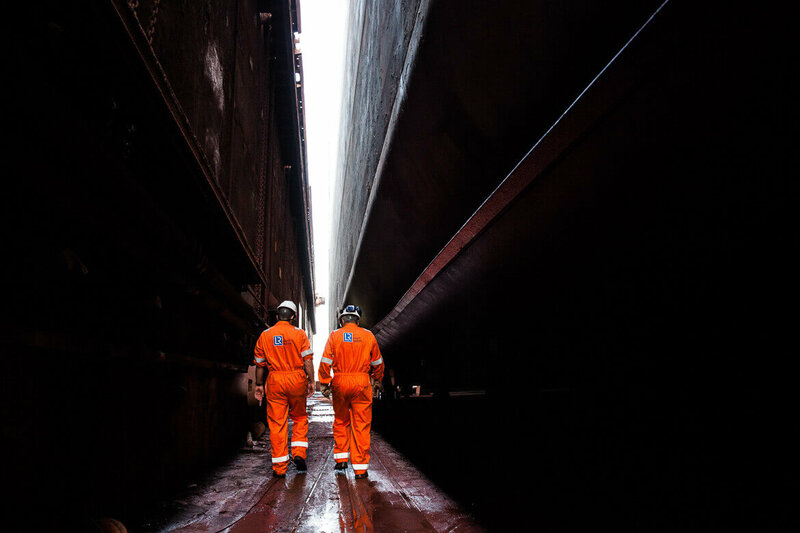 After this experience I have to say that its not the easiest thing to choose angles inside and outside of an 250 meters long ship under 40+Celsius! “Greece is a maritime nation by tradition, as shipping is arguably the oldest form of occupation of the Greeks and has been a key element of Greek economic activity since ancient times”. Through this photoshoot I had the opportunity to come closer with an important part of the “Greek owned” Shipping industryand Greek Shipping history as well. The Neorio Shipyards at Syros was also very important part of Lloyds Campaign as well as the Shipping archive of Syros and the owner Mr George Foustanos. Coming back from this experience I had a strong feeling of pride for all the Greeks that invested in the big idea of the maritime world and managed it successfully. This is the reason that 20% of global shipping owned by Greeks. After this experience working in the shipyards under 40 celcius for three days between hot metal sheets, I strongly believe that everyone who works there is a real hero… I would like to thank all these kind workers from Syros that helped and support us to accomplish our photography mission.